Sus304 solar geyser is provided by a high efficiency copper tube coil heat exchanger fixed in the collector box to provide heat, through this way to obtain hot water tank liner selection imported SUS304 food grade stainless steel plate, sus304 solar geyser for sale & price list , solar geyser price list,The use of advanced automated welding equipment, automatic self-melting arc welding technology, weld surface smooth, good corrosion resistance, long service life. Want to know about sus304 solar geyser sale? ESCOO is one of the largest manufacturers of sus 304 solar geysers sale in China,solar geyser johannesburg, offering customized services and sus304 solar geysers quotation and price list consulting. With advanced equipment and technology, we can assure you that our products are of good quality. When cold water in evacuated tubes is heated,it becomes lighter and goes to the water tank , while cold water in the tank gose to the evacuated tubes.Coz of the property of hot water and cold water, cold water flows downward and hot water goes upward. The waterwil be heated continuously between water tank and vacuum tubes. In other words, the cold water is heated in cacuum tubes. Then it flows to water tank again after is becomes hotter. The water circulation is constantly between water tank and cacuum tubes. the cold water becomes hotter and hotter.solar geyser manufacturers in south africa, Finally , all cold water will be heated to be hot water. This is the heating course of the cold water. Want to know the SUS304 solar geysers price list? First of all, you need to understand the geysers you want to buy. We have listed some on the website. If you find something you like, you can send us a quotation.geyser prices south africa, We will provide you with a price list for solar geysers, and we also provide oem services. Inner tank: 0.5mm SUS304 2B stainless steel. Outer tank: 0.4mm SUS304 2B stainless steel. Stand: stainless steel, 1.2mm thickness. Solar vacuum tube: 58/1800, borosilicate glass 3.3, Cu/ALN-SS/ALN coating. High quality vacuum tubes soak up sunshine and heat cold water of the vacuum tubes. According to the thickness difference about cold or hot water, when absorbing sunshine, cold water into vacuum tubes bent in imitation of hot water rises according to tank.Meanwhile, cold water into tank sinks in conformity with vacuum tubes. 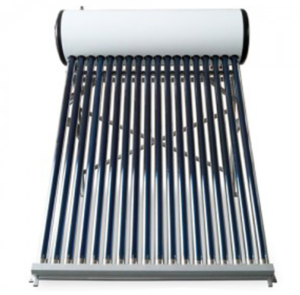 That is the circulation among this type about solar water heater.The whole system is always circulating continuously.